This is a book about the financial crisis once happened in United States in 2008, where many financial institutes, including giants one such as Goldman, Citi, Lehman Brothers, etc faced very deep crisis that almost wiped out all of the financial system. While common people see this phenomena as the Wall Street’s sin, the government (especially Fed and Treasury of USA) saw this as a disaster that would lead USA into bankruptcy. That’s why they formulated so many ways in order to save the system with the players inside of it. 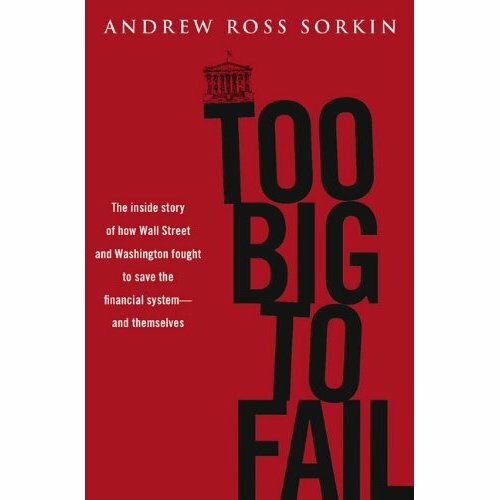 Before reading this book, I never imagined that financial system in USA has been so complicated that one company failure will lead to another’s, even the whole system. This was what happened when subprime mortgage system was failing, and ended up in risking the whole system into failure. It was because the players inside of it are highly and tightly interconnected to each other. The gov also found a dilemma. One quite simple solution to solve this problem would be giving a bail out to several companies, in order to make their balance stable. But, giving a bail out means they need to use the taxpayer money. Do you think taxpayer will agree to pay hundreds billion of their money in order to save financial corps that was facing to bankruptcy just because of their own greed? It’s quite a hard decision to take by Hank Paulson, the man who was in charge to solve this problem. The former Goldman executives really need to weighs pros and cons about this. In the end, the gov found a ‘temporary’ solution that led US financial system to today condition, while they also let one of the biggest corps died, the famous Lehman Brothers. Some said, because Paulson is the former Goldman, he just wanted to save his ex-employer. So, to make taxpayers look that the gov also want to ‘give a lesson’ to those at Wall Street, they decided to let Lehman went into bankruptcy. In this book, we can see (even imagine) the details of the scene, where a lot of top executives of top finance corps was calling each other, looked for helps for their own corps. They almost worked for 24 hours a day, 7 days a week, to save their corps. Many calls were made and offers were proposed, but the deals was not an easy to make, especially because at that time, no big corps were having that much money to help others. They were too busy to save their selves. In each proposals of mergers/acquisitions, the corps which wanted to buy another corps would ask whether they will get gov assistance or not. The gov itself hesitated to give the assistance, influenced by the anger of the taxpayer that thought that those greedy corps should be left dead. But, they also knew that if they left those corps fail, the national financial system will also fail. Those corps are too big to fail. Overall, for those who love financial books (recently I start to like financial stuffs), this book is quite good to have a holistic view of what really happened that year, especially the details it provided that make me quite easy to imagine what the situation was look like those days. I mark this book 7 of 10.